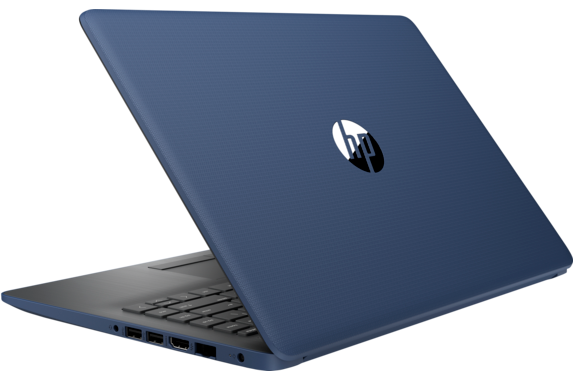 To find a laptop on HP’s website, visit HP here. You can also look for coupons and discounts on HP’s offer page. This mobile workstation is a promising piece of hardware that is made for power and toughness. It’s not the lightest of notebooks, but it still offers better portability than desktop workstations. The build quality is solid, as there is no flex in the base or lid. The HP ZBook Studio G5 has passed 14 very rigorous military standard tests like drop, shock, and dust. It is able to withstand just about anything. Another neat feature is the speaker grille, which extends the full length over top of the keyboard. There is a quad stereo speaker setup with HP tuned Bang & Olufsen. There is also noise reduction software with the microphone, HP Clear Sound Amp, HD audio, and a combo headphone / microphone jack. On the keyboard, there are function keys for volume up / down. Since 2013, HP has been putting out mobile workstations with the “ZBook” name. The Studio G5 is the best one yet. The new model is a complete redesign from its predecessor, with many great improvements. Perhaps the biggest difference is the processor. This new version can be equipped with your choice of top-notch processors, from Intel Core i5 up to i9, or an Intel Xeon E-series processor with 6-six cores and 12 MB cache. Even the Intel Core i5 processor option is 4-core / 8MB cache and can get up to 4.2-GHz with Turbo Boost. There are “out of band management” features with the HP ZBook Studio G5. Some configurations are available with AMT vPro Technology Enabled, some with AMT vPro Technology disabled, and some with no-AMT vPro technology supported at all. The 15.6-inch screen comes in a variety of options, including a matte FHD (1920 x 1080) w/ 400 cd/m2, a matte 4KUHD “DreamColor” panel, and bright LCD with 600 cd/m2. All of the display options come with anti-glare technology and an HD webcam, some of which are IR and feature Ambient Light Sensors. For the graphics, there is an option for Intel UHD graphics P360, which is included with the Intel Xeon processors. It’s recommended that you also opt for the discrete NVIDIA Quadro (4GB dedicated) graphics card. 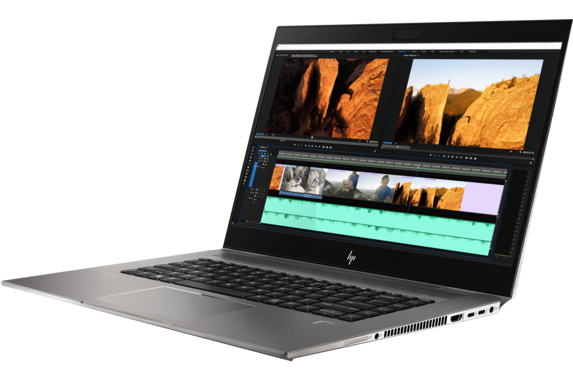 Select anywhere from 8GB to 64GB of memory with the HP ZBook Studio G5. There is always room for expandability if you need more later on. There is room for 2 x 32GB (DDR4 2666) memory. Also, there is Intel Optane SSD 16GB memory. HP does not hold back when it comes to the SSD. There is room for two internal M.2 storage drives, as well as SATA. Choose the capacity you need in a super-fast NVMe TLC SSD or OPAL2 TLC SSD drive. There are many other great features and specs that come with this mobile workstation, including either a 4-cell (64-Whr) or 6-cell (95.6-WHr) “Long Life Battery”. Start shopping today with HP ZBook Studio G5 promotional codes. Imagine all of the creative you can do with a powerful, innovative 2-in-1 mobile workstation. This machine in particular is a versatile device that combines pro-grade performance with a convertible design. 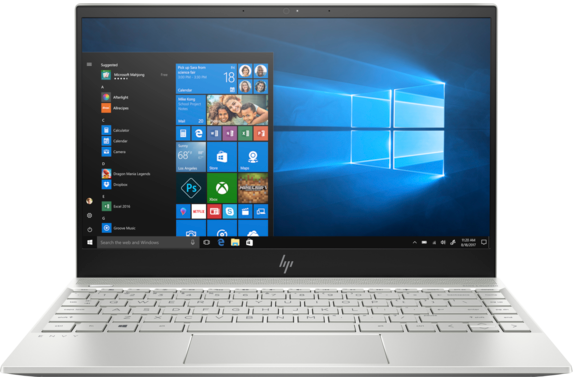 Some of the pros mentioned in reviews of the HP ZBook Studio x360 G5 include its impressive 4K display, great keyboard, stylus capabilities, long battery life, performance, and military grade durability. At 378-nits, this 15.6-inch display cannot be beaten in terms of brightness. It is a very glossy screen that looks great from any angle, and features a 3840 x 2160 resolution. According to colorimeter tests, the easily covers 135% of the sRGB color gamut. The input devices are great as well. This ZBook Studio has a chiclet style backlit keyboard that features compatible buttons for Skype. Be sure and select the ZBook x2 Pen with your order so that you can create, design, markup, etc. right on the screen as if you were writing or drawing on it. It’s designed for paper-like interaction. Audio is wonderful as well, thanks to four Bang & Olufsen speakers, which blast right through a medium-sized conference room. There is superior music as well and every instrument is distinct and clear. You can even modify the settings as there are presets for Music, Movies, and Voice, as well as a full equalizer. There are better options to all of these – especially the UHD DreamColor ultra-slim touchscreen display with 3840 x 2160 resolution. The memory can be upgraded all the way up to 2 x 32GB (64GB) DDR42666. AMT vPro technology is also optional. You can order it disabled, enabled, or not supported at all. Each of the two internal M.2 storage slots can be ordered with up to 2TB each. If you need it, the HP ZBook Studio x360 G5 can be equipped with mobile broadband (Intel XMM 7360 LTE-Advanced) and Near Field Communication technology. Even if you don’t have a high budget, you should still be able to afford this mobile workstation if you order it online, as HP ZBook Studio x360 G5 coupons and promo codes are often available. If you’re after a budget laptop that offers as much performance and power as possible, now is a good time. All of the leading brands are offering deals on some type of laptop, 2-in-1, tablet, etc. Whether you want a powerful gaming rig, business laptop, general notebook for everyday use, or ultra-thin portable notebook, here is a guide to some low price laptop computers to consider. These affordable notebooks come with 16B RAM, HD displays (optional touchscreens) and up to 256GB M.2 PCIe NVMe SSD storage solution. It’s a good laptop that can handle everyday tasks easily and smoothly. 1TB SATA (5400 RPM) storage is also an option on some configurations. This under-$500 notebook is a good choice for children or college students who need a lightweight PC that has a long battery life on a charge. It’s available in different colors and delivers solid performance for its price. The dual speakers is a nice surprise on a laptop this small, as they deliver loud and dynamic audio. The keyboard is also nicely designed as it provides snappy feedback. Of all low price laptop computers, this is perhaps the best for gamers. It’s an entry-level to mid-level gaming PC that you can get for under $750 or even under $700, depending on which specs you choose. There are dual fans featuring Acer’s Coolboost technology to ensure that the machine never gets too hot – even when under full load. Lenovo’s ThinkPad business notebooks are used by millions of professionals and businesses all around the world. The E-Series is a good choice for small business users who want an economical laptop with decent AMD and Intel processor options available. Choose either a 14-inch display or a 15-inch display with a number pad keyboard. If aesthetics is important to you, you can’t go wrong with these low price laptop computers. The Asus VivoBook S15 series is available in bright, pretty colors, like yellow, blue, green, and red. There are options for Intel Core i5 and i7 processors as well as SSD storage. Whichever configuration you choose, you’ll find that this notebook is lightweight at 3.5-lbs. These are all god choices for consumers searching for low price laptop computers. Visit this site to learn more about laptop coupon deals and promo codes. This is a very versatile convertible notebook that works perfectly well for daily use. It’s affordable and has a lot to offer for small business owners and professionals. Since it’s designed with business use in mind, the HP ProBook x360 440 G1 comes with security and durability features, like HP BIOSphere Gen. 4 and commercial-grade durability. Serviceability is also an easy process. The notebook can easily be customized and comes with plenty of configuration options. The price varies depending on which hardware options you choose. For instance, the 14-inch display is available with either an HD webcam or an HD IR webcam. The resolution is 1920 x 1080. Both the HD webcam and IR HD webcam come with a dual-microphone array. How much memory do you need with this notebook? Options include 4GB SO-DIMM (DDR4 2400 PC4), 8GB, 8GB 2-DIMM dual channel, 16GB (1-DIMM), and 16GB 2-DIMM dual channel. There are a variety of excellent storage options as well, ranging from 128GB M.2 SATA-3 TLC SSD up to 512GB M.2 PCIe-NVMe TLC solid state drive. This is an impressive storage solution for a 3.8-lb 14-inch convertible notebook. You’ll definitely notice that the HP ProBook x360 440 G1 is a nice looking machine overall. It’s mostly made of a strong plastic with a silver finish, with the exception of the keyboard deck, which features aluminum and a black finish. Even though it’s primarily a plastic device, it’s still impressively sturdy. As for the processor, choose an Intel Celeron 3865U, Intel Pentium 4415U, Intel Core i3, i5, or i7. The overall price will be affected by whichever processor you choose. It’s recommended that you opt for at least the Intel Pentium (2.3-GHz 2-cores / HD graphics 610) or the Intel Core i3 (Intel UHD graphics 620) with 2.2-GHz base frequency up to 3.4-GHz w/ Turbo boost technology. If you can afford to do so, go with the Intel Core i5 or i7. The integrated graphics that can come with the processor include Intel HD 610, Intel HD 620, and Intel UHD 620. There is a good, 3-cell 48-Whr HP Long Life internal battery (serviceable by warranty) that offers a long battery life. For the power supply, there are a variety of AC adapters and power cord connectors available. The G1 offers a decent level of ports and connectivity, which are distributed evenly across the left side of the notebook and are conveniently spaced so that you should encounter no difficulties with peripherals getting in the way. 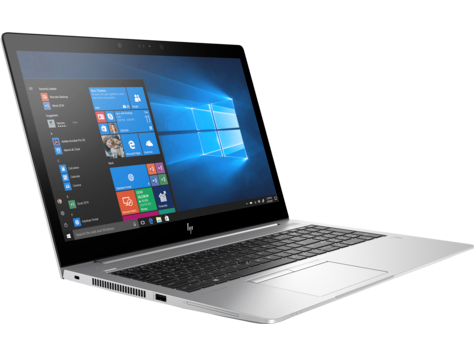 You can look over all of the customization options for the HP ProBook x360 440 G1 online and decide which memory options, processor, graphics, and storage solution is right for you. Don’t forget to use HP promo codes to help you save. This notebook, for the most part, is getting a lot of positive reviews. It’s sleek, durable, and exceptionally mobile. You can take this detachable PC anywhere as it weighs just 2.73-lbs, features the best wireless technology, and has protective Corning Gorilla Glass covering the screen. The keyboard is nicely built as well, although you don’t have to use it if you don’t want to. The HP ENVY x2 12 can be used as a tablet. Built-in 4G LTE allows you to connect to the internet safely and securely, no matter where you are. This ENVY x2 model is a Sprint LTE and Verizon Wireless network certified device (US only). Some versions are available with HP’s Digital Pen. A lot of office users are leaving positive reviews as it allows them to catch up on work-related tasks such as email and document creation / editing / sharing. The battery life is pretty impressive. You can use the device for an entire work or school day without it draining all the way down. HP advertises that the three-cell 49.33-Wh Li-Ion battery has a life of up to 19 hours for wireless streaming and up to 22 hours for video playback! A 45-W AC power adapter is also included. Setup is a fast process. While you’re setting your account up, switching through screens is very fast. It takes 1 second or less for the next screen to load. This is a very nice looking notebook / tablet duo, with its natural silver slate cover and “Oxford Blue” keyboard frame and base. It weighs 2.67 with the keyboard and only 1.54-lbs as just the tablet alone. There are two excellent webcams, which include a front-facing HP Wide Vision 5MP cam and rear-facing HP 13MP cam. Additionally, there are three integrated digital mics. Audio is good as well thanks to the Bang & Olufsen technology and dual speaker setup. Since there are so many positive HP ENVY x2 12 reviews, this notebook / tablet is obviously worth investing in. Get it today at an affordable price by using HP coupon codes. HP describes this as the world’s “most powerful detachable computer”. It’s available in different configurations for different types of creative users: Digital Artists, Photographers, Video Editors, and Pro Digital Artist / Photographer. Whichever version of the HP ZBook x2 you choose, you can count on it being an excellent investment. You can use it in four different modes as well: Laptop, Tablet, Detached, and Docked. Get creative with the professional Wacom EMR pen. Work comfortably and quickly with 18 preconfigured shortcuts, customized for popular Adobe applications. You can switch the brush hardness and size, see full-screen previews, pan and zoom, turn touch on / off, lock and unlock, etc. The keyboard is full-size and Bluetooth enabled to stay active – even when it is detached. The 4K multi-touch display is very impressive with its 1 billion colors. You can easily work in any lighting on this anti-glare touchscreen. There are very useful ports that come with the HP ZBook x2, including a power connector with LED, USB 3.0 charging port, HDMI 1.4, two Thunderbolt 3 ports, and combo headset port. There is also a fingerprint reader, SD card slot, and volume up / down controls. Thanks to the active cooling system, this mobile workstation never overheats. It contains a dual-fan cooling system, which is designed to dissipate heat from the graphics cards and processor. The NVIDIA Quadro graphics are superior and deliver real-time visualization of multi-layered creative projects – particularly artwork. The quad-core processor is also superior and offers up to 4.2-GHz with turbo boost technology. What about battery life? Since this is a mobile workstation, it comes with an HP Long Life four-cell Li-Ion polymer battery (70-Wh) with a life up to 10 hours. Fast Charge ensures that it gets back up to 100% in a very short amount of time. 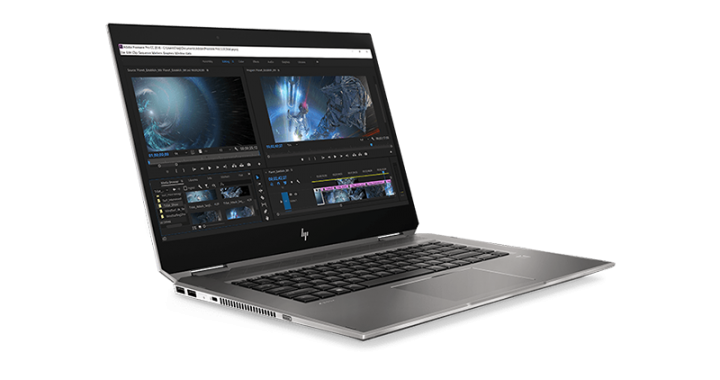 Additional features of the HP ZBook x2 include a 90W external AC power adapter, 720p HD webcam (w/ IR front-facing), 8MP cam (world-facing), and Bang & Olufsen audio technology / dual stereo speakers. Whichever configuration of this detachable workstation you want, be sure and use HP coupons to help you save. What kind of notebook are you looking for? A budget sub-$500 laptop? 2-in-1? A powerful gaming machine? Business notebook? The number of options right now can seem overwhelming. To help you with your decision, here are some of the top laptops to buy in various categories, to suit different types of users. Certain models of the Aspire 3 series are under $500. These are great choices for those who are looking for a reliable budget laptop. You can even find configurations with a 15.6-inch display, AMD Ryzen 3 processor, and AMD Radeon VEGA 3 (w/ shared memory) – still under $500. Acer laptops, in general, are highly durable and affordable. If you prefer Android, yet still want an inexpensive laptop, here is the perfect option. This HP 2-in-1 is highly versatile and comes with an impressive Intel Core m3 GPU, high-resolution 2K (2400 x 1600) 12.3-inch display, and long battery life. The eMMC storage ensures superfast performance. The battery life can last for up to 12 ½ hours. This is among the top laptops to buy due to its gaming capabilities AND affordability. Who says gaming laptops have to be expensive? While it’s no budget PC, it’s still affordable compared to other high-end gaming computers. Get features like VR-ready technology, upgraded cooling technology, and new-generation over-clocked processors. Those who need a business notebook will find everything they need with Lenovo’s ThinkPad series – especially the Carbon models. The X1 Carbon features the best in-class keyboard, RapidCharge technology and a battery life of up to 15 hours, (optional) Global LTE-A connectivity, and an elegant design. It’s highly customizable and comes with PCIe – NVMe OPAL 2.1 M.2 storage options. This is the top laptop to buy for students of all ages, as it can be easily carried around all day from class to class, on the school bus, around campus, or at home. Its military-grade durability means that it can survive being knocked around and dropped; the keyboard is spill-resistant. The Spin 11 comes with an 11.6-inch touchscreen display and Wacom technology pen for sketching, taking notes in class, creating lists, etc. These are all the top laptops to buy in 2019. Carefully look over what each has to offer and determine which machine will best suit your needs. The best thing about all of these top laptops to buy is that you can get good deals on them at this site. Lenovo discounts, Acer coupons, Dell promo codes, etc. are available.